o Avoid hiking camping or backpacking alone if you can. o Do NOT approach a Puma, especially one with cubs. They like to avoid humans so leave space for them to do so. o Do NOT run past or away from a puma, they might chase you! 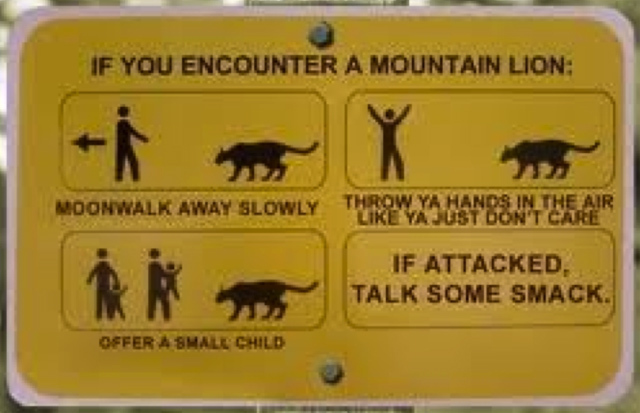 You are more like to die from a misstep off a trail than from a mountain lion attack, so always hike safely!